At Murphy Family Dentistry, we go above and beyond to ensure that our patients are comfortable throughout any treatment. 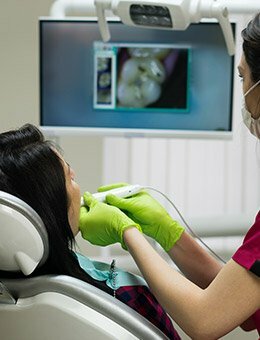 One way we improve patient comfort and provide successful treatment is by utilizing state-of-the-art dentistry techniques and technology. Why Choose Murphy Family Dentistry for Dental Technology? Do you remember the days of sitting still in the dentist’s chair while your mouth was filled with impression putty? This experience was uncomfortable and often inaccurate to boot – many people were even likely to gag during it. That’s why our team has invested in a revolutionary alternative: iTero All-Digital Impressions. Now, the creation of a comprehensive dental model usually only requires a video recording of the tooth surfaces, leading to maximized precision and highly successful restorations. What if you could see your mouth the way your doctor sees it? 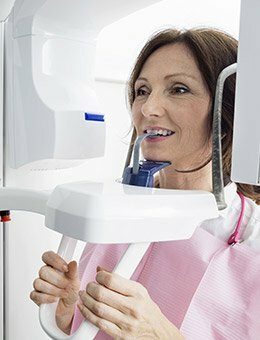 With an intraoral camera, you can actually have that experience. 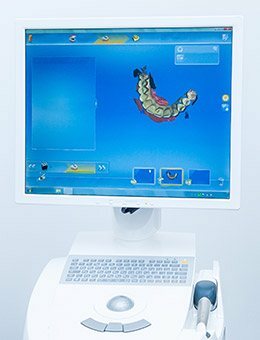 Using this advanced tool, we can project images of your mouth onto a nearby monitor, allowing you and your dentist to look at your smile together. Seeing your mouth up close will help you gain a better understanding of your oral health needs, as well as the solutions available to you. Using a soft tissue laser, Dr. Najari or Dr. Nguyen can provide comfortable, noninvasive treatment for periodontal disease. We can also use our laser for a cosmetic procedure known as gum recontouring. Medical professionals have been using X-rays since the end of the 19th century and the beginning of the 20th. With X-rays, we can see things that can't be seen with the naked eye. This in turn allows us to provide patients with more accurate care. As great as traditional radiography is, it comes with a few drawbacks. The first of these is radiation exposure. Traditional X-rays also have to be developed with harmful chemicals. Finally, they have to be stored in bulky filing cabinets. Murphy Family Dentistry has invested in digital radiography. With today's digital advances, the images are not only clearer, but patients are exposed to much less radiation overall, making the process safer. What's more, the images can be instantly shown on our large monitors so you (the patient) and our doctors can view and discuss the right treatment for you. 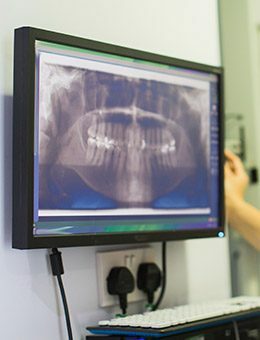 Cone Beam Computed Tomography (also known as CBCT) allows our team to have a 360 degree, three-dimensional view of patients’ teeth, jaws, and maxillofacial structure. The CBCT scanner completes a rotation around the head, producing hundreds of images of patients’ facial structures. 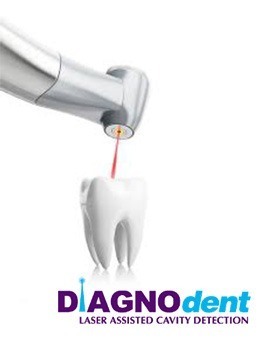 Cone Beam imaging is used most often when planning dental implant placement and orthodontic treatment, but these high definition scans are also a cutting-edge diagnostic tool for any patient. The process only takes around 30 seconds. The development of cavities is a gradual process, and one that is entirely preventable. Unfortunately, decay can hide in hard-to-detect places that may be missed during a traditional visual examination, such as in between the teeth or within the crevasses of molars. 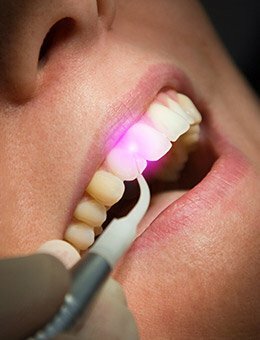 With a state-of-the-art laser, Dr. Najari and Dr. Nguyen are able to use fluorescent light technology to quickly and concisely identify cavities in their earliest forms throughout the mouth. In some cases, this tool can even indicate weakened enamel where decay isn’t even visually present yet. As a result, restorative treatment can be less invasive and more natural dental structure is successfully preserved. When performing root canal treatment, our dentists strive for optimal patient comfort at every opportunity. 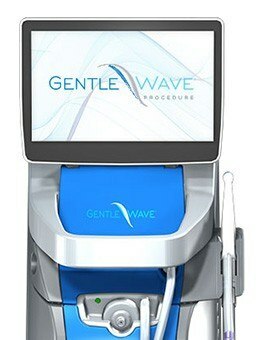 That’s why we use the Sonendo GentleWave® Procedure, which combines fluid dynamics and soundwaves into a superior process. We can now reach even the most microscope spaces within the tooth and successfully remove infected debris, tissue, and bacteria. This reduces the risk of needing time-consuming retreatment in the future. 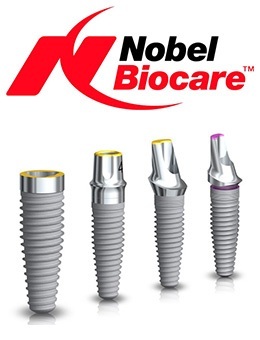 Nobel Biocare implants are widely considered one of the most advanced and recognized implant systems in the world, and they offer a wide variety of products for all bone types, surgical protocols, and indications. This company is also a true pioneer in the field of Computer Aided Design (CAD) and guided implant surgery. At Murphy Family Dentistry, we’re proud to use these outstanding technological components in our office in order to make each patient’s dental implant transformation as comprehensively successful as possible.